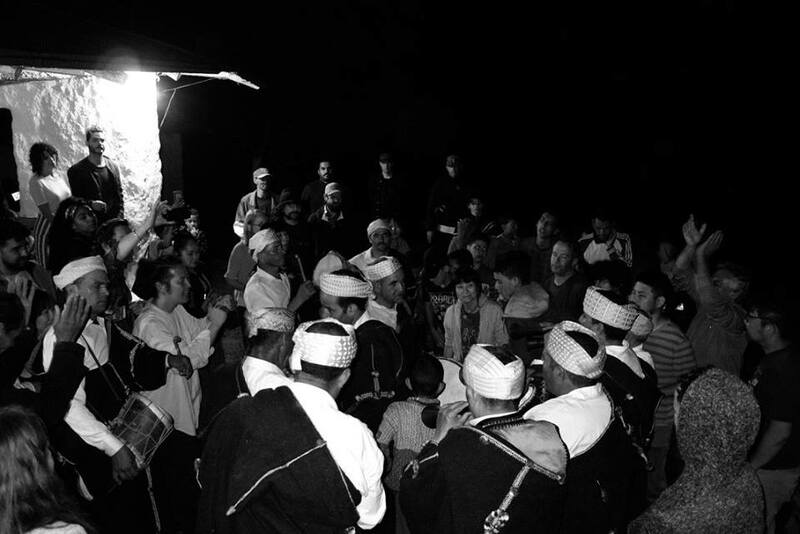 Booking is now open for the 12th edition of the annual Master Musicians of Joujouka Festival in Joujouka, Morocco. The three-day festival runs from Friday, 21 June to Sunday, 23 June 2019 and is limited to 50 full ticket holders. Guests will be collected at Ksar El Kebir train station on Friday, 21 June and dropped off after the festival on Monday, 24 June before 12 noon. Places include accommodation and full board. Use the link below to pay for a deposit (non-refundable) or a full ticket which is refundable minus deposit until 21 April 2019. After this date places are forfeit. Tickets are non-exchangeable and may not be resold. If booking for two places or more please email joujouka@gmail.com and provide the name and email contact for the other ticket holder(s).